Hanna-Stella mainly focuses on higher education policy and equitable access to education, recently focusing more on the opportunities of and participation in life-long learning. In Praxis, her main field of work has been leading and executing qualitative analysis, as well as taking part in the evaluation processes of different programmes and measures. She has been a member of international education research teams for years, including the EUROSTUDENT project consortium, which is an international comparative study focusing on the economic and social conditions of student life in Europe. These experiences have improved her skills in methodology and analysis, given her an excellent knowledge of international higher education policy as well as experience in networking. 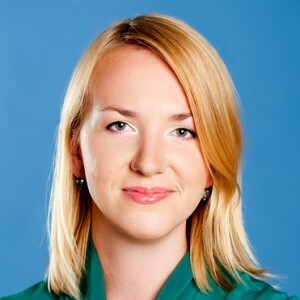 Hanna-Stella holds a Master’s degree in social work and social policy from the University of Tartu and has previously worked as a social policy advisor for the Federation of Estonian Student Unions. Hanna-Stella also keeps her eyes and ears on the world of music – she is a keen collector of vinyl records, playing these at events from time to time. She also runs a music blog and writes music reviews for different publications.